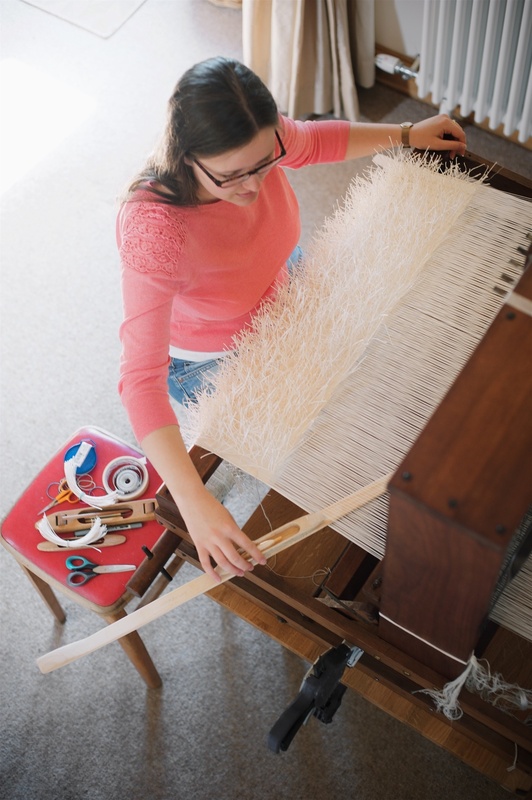 The first loom I owned was an 8-shaft Harris table top loom. It was bought one Autumn day, having found it on The Loom Exchange, from May Gunn in Ayrshire, a lovely lady with aeons of weaving experience, and a barn full of weaving equipment and looms to prove it. After some TLC, which included individually de-rusting each of the heddles (the metal eyelets which hold one warp thread each), new aprons, and a good scrub, the loom was up and running. I used this loom to weave Dénouement, my piece for the 15th International Triennial of Tapestry (which you can read about here). The pictures here show how Dénouement was woven. The warp was made using 2/120 (very fine!) 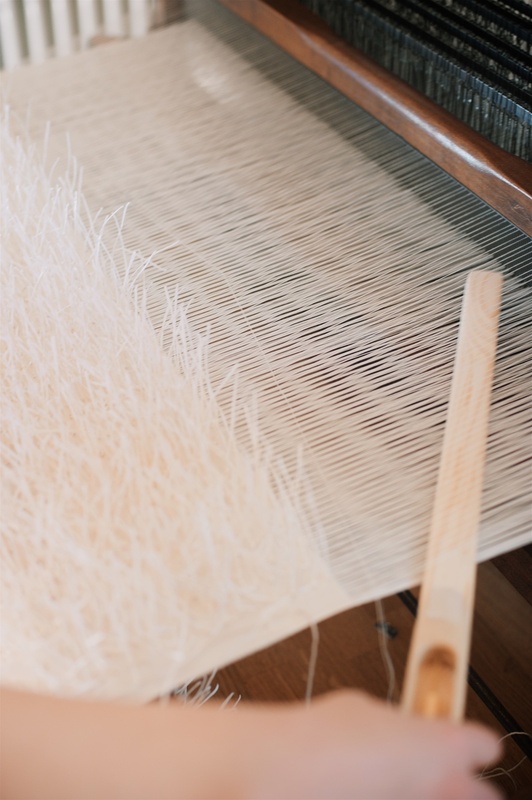 silk, with the same silk in the weft, alongside hand-cut paper fronds. I used custom, extra-long ski shuttles to pass the weft yarn from side to side, before beating down, then tying in the paper fronds. 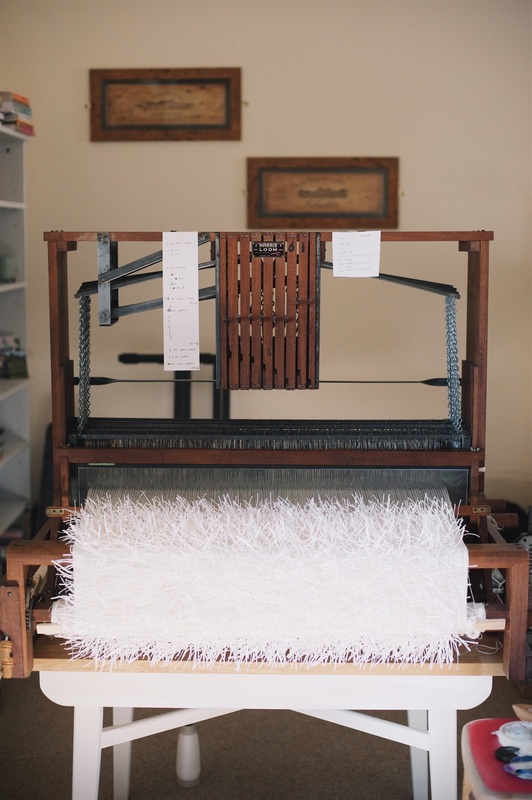 Sadly, the lovely 8 shaft Harris table loom has gone to a new home on the Isle of Auskerry where it will be used to weave beautiful things using the wool of the island's native sheep. But, where one door closes, another opens. My new Leclerc Weavebird will soon be ready to start weaving!